This deep blue fiber optic bead looks so pretty with its lighter shade band going across the bead. 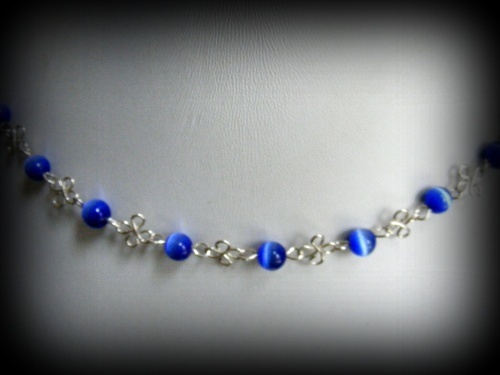 Has clover like handmade links between the beads made of sterling silver. Measures 18" long and comes with a matching pair of earrings.